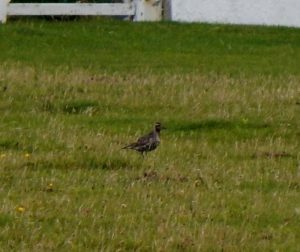 TIREE: Juvenile Buff-breasted Sandpiper and adult American Golden Plover still at Sandaig in flock of 250+ Golden Plover this pm – also 1 Ruff and 4 Black-tailed Godwits there – (John Bowler with Keith Gillon). 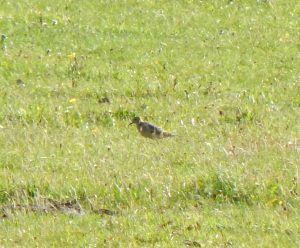 Rosy Starling still at Kenovay today (John Bowler). 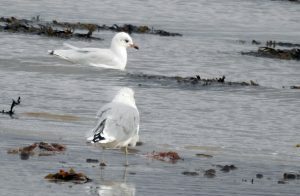 ISLAY: 2W Mediterranean Gull in Bowmore this morning, Reeve still at Loch Gruinart, 70 Goldfinch at Carnain and 3 Mediterranean Gulls together at Rubha Ban/Carnain, Loch Indaal this evening – 2 x 2W and a juv/1W (Jim Dickson). 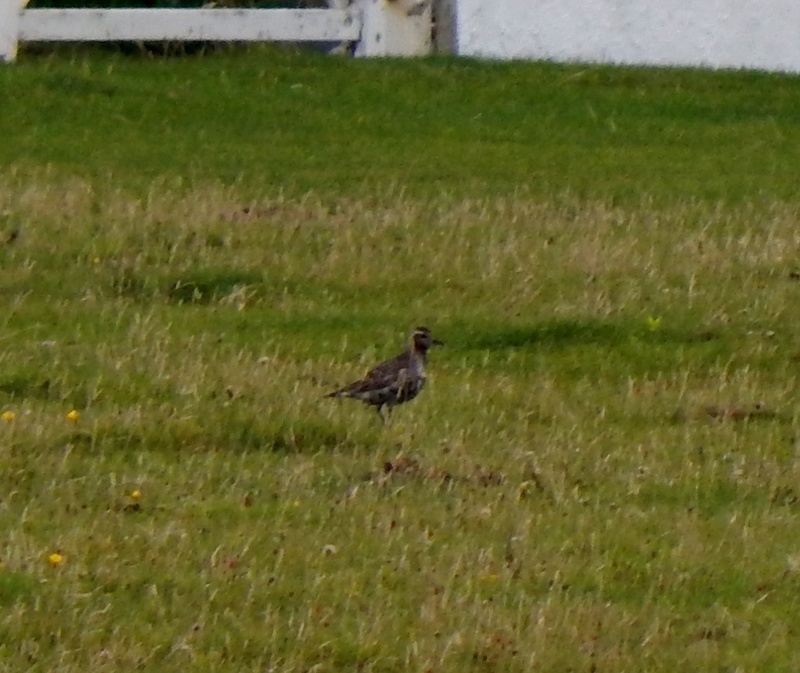 AMERICAN GOLDEN PLOVER – Tiree 5th Sep (John Bowler). 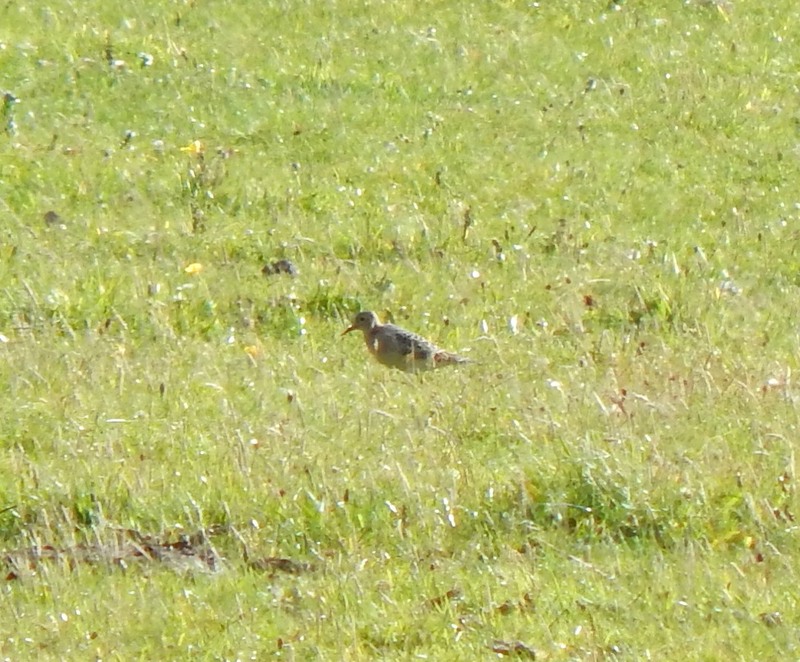 BUFF-BREASTED SANDPIPER – Tiree 5th Sep (John Bowler). 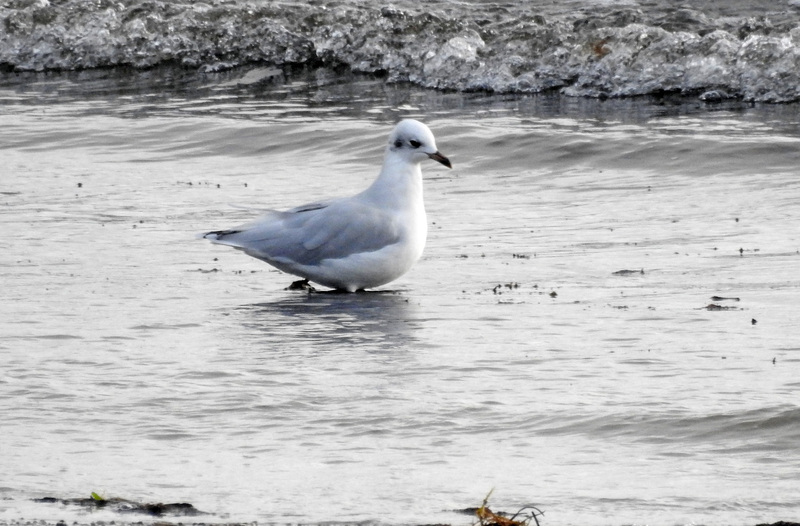 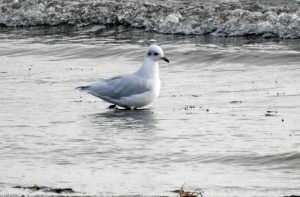 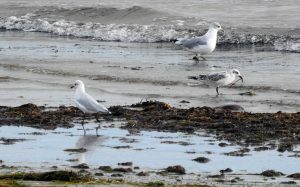 2W Mediterranean Gull (bird 2) – Loch Indaal, Islay 5th Sep (Jim Dickson). 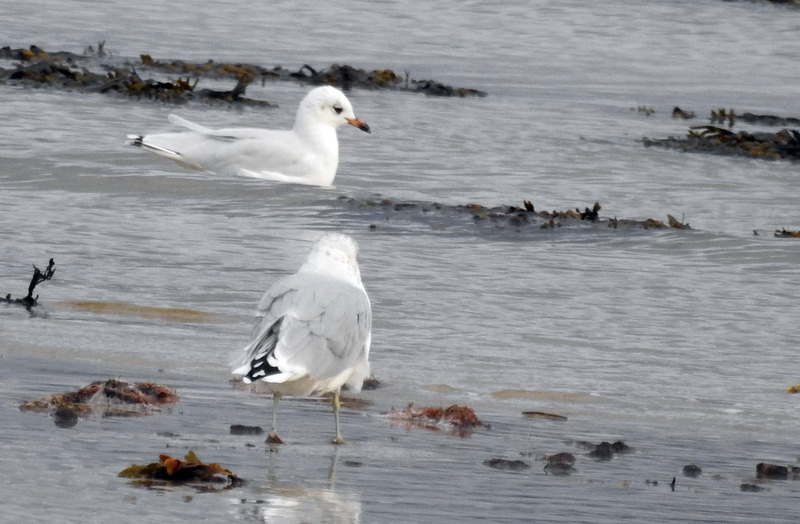 2W Mediterranean Gull (bird 1) – Loch Indaal, Islay 5th Sep (Jim Dickson). 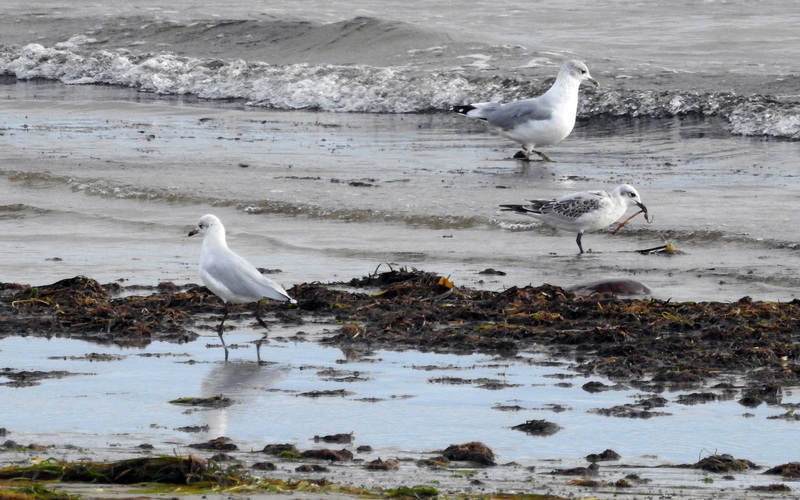 Juv + 2W Med Gulls, Loch Indaal, Islay 5th Sep (Jim Dickson).